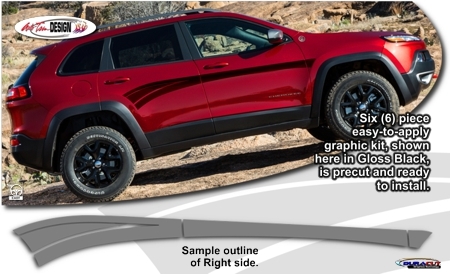 Make your '14-Current Jeep Cherokee stand out with this unique and great-looking body side graphic kit. These graphic kits are vehicle specific and will fit any '14-Current Jeep Cherokee. They will not fit any other vehicle.